Concrete Coatings Spray-Tek™ Archives - Concrete Coatings, Inc.
Spray-Tek™ is a combination of a modified acrylic resin and specially formulated cements and aggregates that can have colorants added. 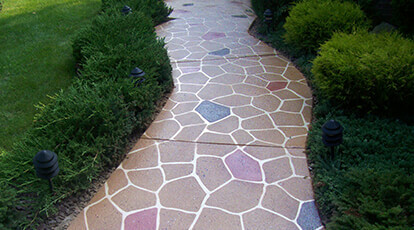 Concrete Coatings, Inc combines the strength of concrete with the durability and bonding power of acrylics. 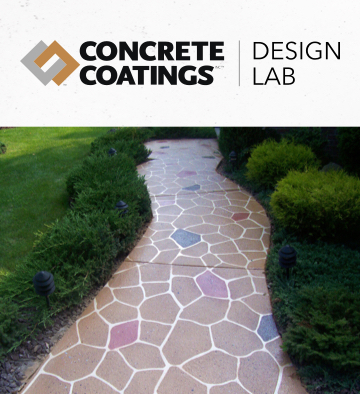 A penetrating sealer is applied to provide superb durability, weather, and UV resistance and ensure a long product life. To use the Spray-Tek™ system, you will combine the G-100™ Pro Series Grout with DuraSet™ 1000, C-Series™ Liquid Colorants and SuperSeal™ to create virtually unlimited color and texture variations suitable for most residential and light-commercial applications. Concrete Coatings, Inc. DuraSet™ 1000 is an all-acrylic resin designed specifically for binding of cementitious materials, including overlays, mortars, and grouts. DuraSet™ 1000 is comprised entirely of high quality resins which, when combined, are easy to apply. In addition to acting as a binder for cementitious overlays, it can be used with our C-Series Liquid Colorants when performing faux finishing techniques. Combine with DuraSet™ 1000 or DuraSet™ 1001 FastSet™ polymer for spray or troweled down applications with our Spray-Tek™ Overlay System. Accepts our C-Series Liquid Colorants and has a special sand gradation to make it very easy to use for a multitude of applications. Recommended for applications 1/4” or less. Concrete Coatings, Inc. DuraSet™ 1001-FastSet™ is an all-acrylic resin designed specifically for binding of cementitious materials, including overlays, mortars, and grouts. DuraSet™ 1001-FastSet™ is comprised entirely of high quality resins which, when combined, are easy to apply. DuraSet™ 1001-FastSet™ is a faster-setting formula for cooler days, when the temperature drops to 60° or below. DuraSet™ 1001-FastSet™ may be combined with DuraSet™ 1000 to accelerate cure times.